Buckley, S. (2003) Teaching number to children with Down syndrome. Down Syndrome News and Update, 2(4), 125-125. Mangan, H. (2003) Teaching language through reading to a child with Down syndrome. Down Syndrome News and Update, 2(4), 143-144. Sacks, B, and Buckley, S. (2003) What do we know about the movement abilities of children with Down syndrome?. Down Syndrome News and Update, 2(4), 131-141. Buckley, S. (2003) Language and literacy. Down Syndrome News and Update, 2(4), 142-142. Bertram, A, and Buckley, S. (2003) Friendships in teenage years. Down Syndrome News and Update, 2(4), 148-148. 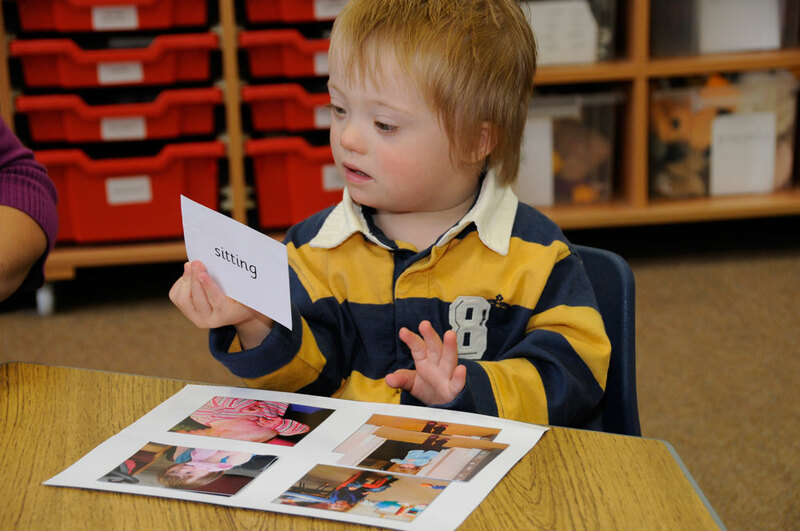 Sanda, L. (2003) Can children with Down syndrome learn more than one language?. Down Syndrome News and Update, 2(4), 145-145. Wilken, E. (2003) Bilingualism in children with Down syndrome in Germany. Down Syndrome News and Update, 2(4), 146-147.